Exclusive interview with Ms Soňa Svoreňová – the urban deputy and member of the club “Bratislava INAK“ (transl. Different Bratislava), traveller, a member of the Board of Directors of the Bratislava Tourist Organization. 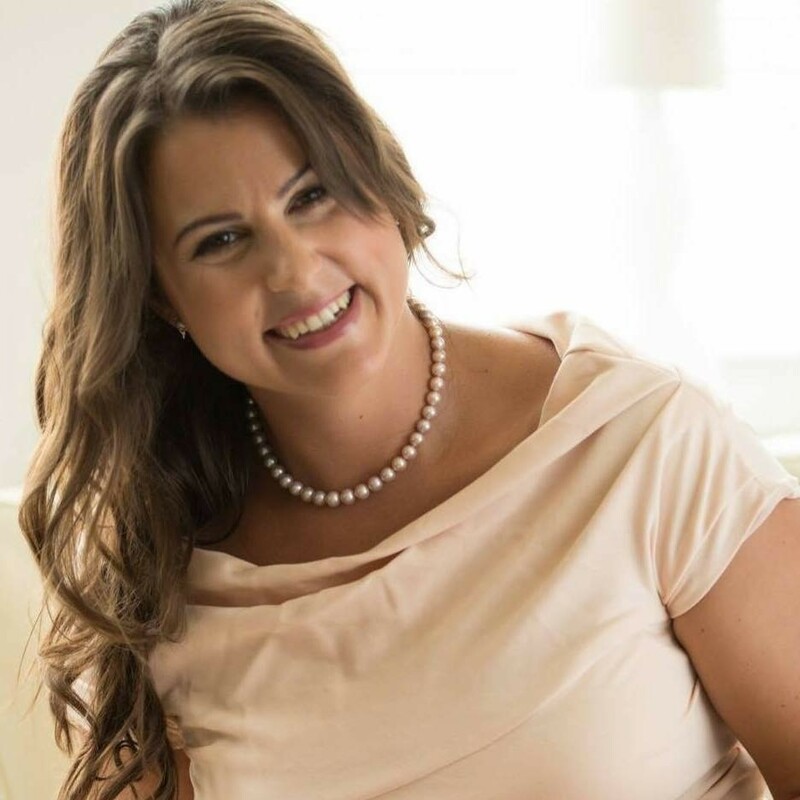 Q: Being the urban deputy at the Bratislava INAK and a member of the Board of Directors of the Bratislava Tourist Organization one will say – you really do love the city you’re living in! What are the benefits of living in Bratislava? On the other hand, what more can be done to make the city even more comfortable for the locals and for the visitors? Q: How did your career path lead you to the tourism field? Was that a life-long dream, or more of a coincidence? Actually, I decided, I wanted to be a travel guide when I was 10 years old. With my family, we went for a holiday to Italy, and I realized, there is a possibility of being paid for travelling and talking about history and art, that I loved since my childhood. 🙂 Therefore I spend my high school years learning foreign languages and got my tour guiding licence immediately after starting the University. Later on, I decided, it would be nice to have my own business, and founded my own travel agency. Q: In your opinion: how do you see the tourism development of Bratislava in recent years? And what are the hopes and wishes for the future? The number of visitors is increasing every year. So far, so good. Sadly, however, it is still very difficult to persuade them to stay more than one day. Still, the most important reasons for visiting are our historical sights. The historical centre cannot be stretched. Therefore, we have to promote other reasons why to stay in Bratislava and the surrounding region, like nature, wine, agro-tourism. Generally, we have to persuade visitors, that stop and see is not enough, and they should as well stay and spend. Q: Where do you see the greatest potential in business tourism and MICE development? One of the potentials is the fact that we are so close to Vienna, which is one of the top MICE destinations in Europe. What I have in my mind, is that Bratislava should try to get some follow-up events of the big ones organised in Vienna, and some post-tours. We do not have a big congress centre in Bratislava, but we have many smaller venues in the centre, modern as well as historical. As I already mentioned, our city centre is small, and you can walk from one side to another in 10-15 minutes. Therefore, it is perfect for events where participants are divided into more groups that have their own program, but where they still need to be close to each other and maybe move between the groups during the day. Q: How does the Board of Directors of the Bratislava Tourist Organization support the MICE industry? In many ways. One very important one is education. Public, business people who are not directly linked to the MICE business (and I have to admit that many local politicians also have very little knowledge about benefits of MICE industry and they do not fully understand the local economy and city development in general). So talking about the positive impact of MICE is very important. When it comes to practical support, like bidding, site inspections etc. the professionals from Bratislava Convention Bureau have my full trust. Q: Sometimes we hear that Bratislava is a stop on the Vienna-Budapest route and not a final destination. How does the Board of Directors of the Bratislava Tourist Board feel about this statement? What are your plans to making Bratislava as the first and final destination for the visitors? Well, on one hand, it is positive, that trips following the trails of the Habsburg family and the monarchy cannot be completed without at least a short stop in Bratislava that used to be a coronation city. It is low hanging fruit for us. On the other hand, usually these tourists do not stay too long, so the city and local entrepreneurs can benefit from them only with difficulties. We have to promote other aspects of the city that make us unique. One of this is the fact that we are a capital in the middle of nature. Our city centre is located directly on Eurovelo 6 (Danube cycling road); you can start your kayak or stand-up-paddle trip directly in the city, hike or ski within ten minutes from the downtown. This is perfect to attract families with kids, or groups of young people that like to see the nice historical centre, but also need some action and fun in nature. Together with all the Bratislava region, we are a perfect destination not just for a nice city break, but also for a wellness or sports weekend. 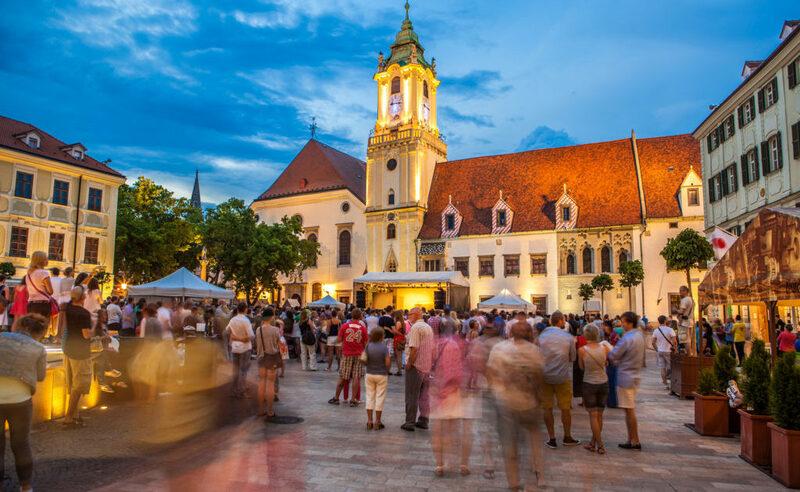 Q: In your opinion – what makes Bratislava so unique, that hosting an event, organizing a congress or incentive programme would benefit its attendees? The location in nature that I mentioned in the previous question. There are very few cities where you can find action parks in nature, and other forest attractions, that are 10 minutes’ drive from the downtown. It is very practical; you can easily include some social program as well as some action for those participants that are not so much into the history and sightseeing. With the combination of the historical centre located directly on river Danube, where you can have fun on speedboats or have a dinner in our famous UFO restaurant directly at the top of the bridge there truly is something for everyone. And of course, we cannot forget our huge Volkswagen factory! Visiting it and observing all the precise, fully automated process of car production is a very interesting program for those, who like high tech. Many little things. My dog and horse always. Q: What did you learn this past week?